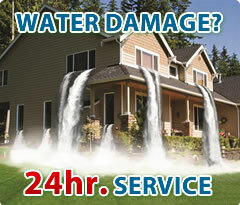 At O'Bryan's Restoration, we understand water damage emergencies require a quick response. That's why our professional water mitigation crew arrives at your property in an average time of 30-45 minutes from receiving your call. Our crews are ready and available 24/7 to help you in the event of a water damage at your residential or commercial property. It is important you call O'Bryan's Restoration at the first sign of water damage to your home or business. Waiting can cause further destruction to your property, and it is important that your loss is assessed in a timely manner. 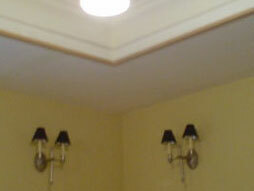 Our experienced professionals are quick and efficient in getting the job done. We use industrial strength equipment for all the drying and dehumidification needs at your property. 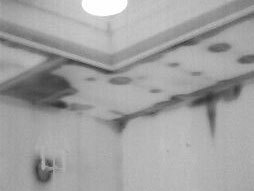 Our technicians also utilize thermal imaging technology to ensure all structural components are dry. If you require restoration services after drying out the structure, O'Bryan's Restoration is able to provide you with all the support needed to return your property to its preloss condition. 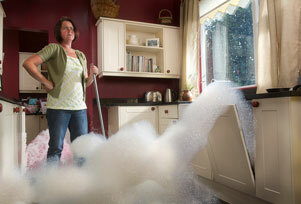 Having water damage to your property can be stressful. O'Bryan's Restoration will be with you every step of the way. We will assist you by communicating with your insurance representative and answering questions. O'Bryan's Restoration will bill your insurance company directly for you, so you don't have to worry during your time of loss. Based in Denton, Texas, O'Bryan's is your best source for emergency water extraction and water damage restoration services in Denton, emergency water extraction and water damage restoration services in Lewisville, emergency water extraction and water damage restoration services in Flower Mound, emergency water extraction and water damage restoration services in Argyle, emergency water extraction and water damage restoration services in Highland Village, emergency water extraction and water damage restoration services in Copper Canyon, emergency water extraction and water damage restoration services in Bartonville, emergency water extraction and water damage restoration services in Lake Dallas, emergency water extraction and water damage restoration services in Hickory Creek, emergency water extraction and water damage restoration services in Little Elm, emergency water extraction and water damage restoration services in Corinth, emergency water extraction and water damage restoration services in Oak Point, emergency water extraction and water damage restoration services in Crossroads, emergency water extraction and water damage restoration services in Aubrey, emergency water extraction and water damage restoration services in Krugerville, emergency water extraction and water damage restoration services in Pilot Point, emergency water extraction and water damage restoration services in Providence Village, emergency water extraction and water damage restoration services in Sanger, emergency water extraction and water damage restoration services in Krum, emergency water extraction and water damage restoration services in Ponder, emergency water extraction and water damage restoration services in Justin, emergency water extraction and water damage restoration services in Lantana, emergency water extraction and water damage restoration services in Robson Ranch, emergency water extraction and water damage restoration services in Shady Shores, emergency water extraction and water damage restoration services in Trophy Club, emergency water extraction and water damage restoration services in Northlake, emergency water extraction and water damage restoration services in Roanoke, emergency water extraction and water damage restoration services in Bolivar, emergency water extraction and water damage restoration services in Paloma Creek, emergency water extraction and water damage restoration services in Savannah, emergency water extraction and water damage restoration services in Dallas/Ft. Worth area.